Stylish oriental Buddha table lamp. 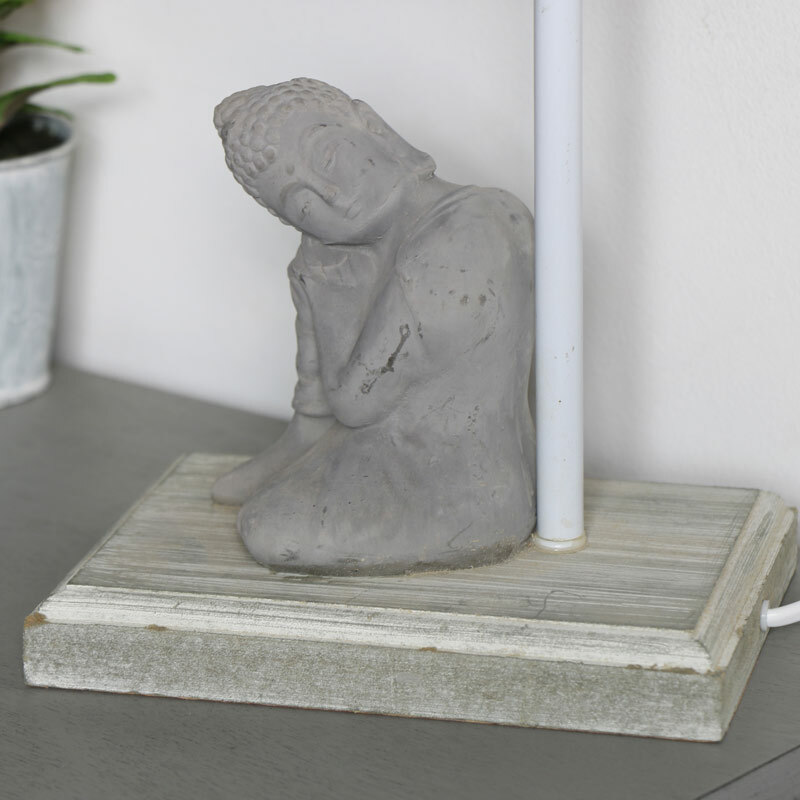 Grey Buddha decorative figure set on the lamp base with beige shade. Mains operated with an inline switch for convenience. 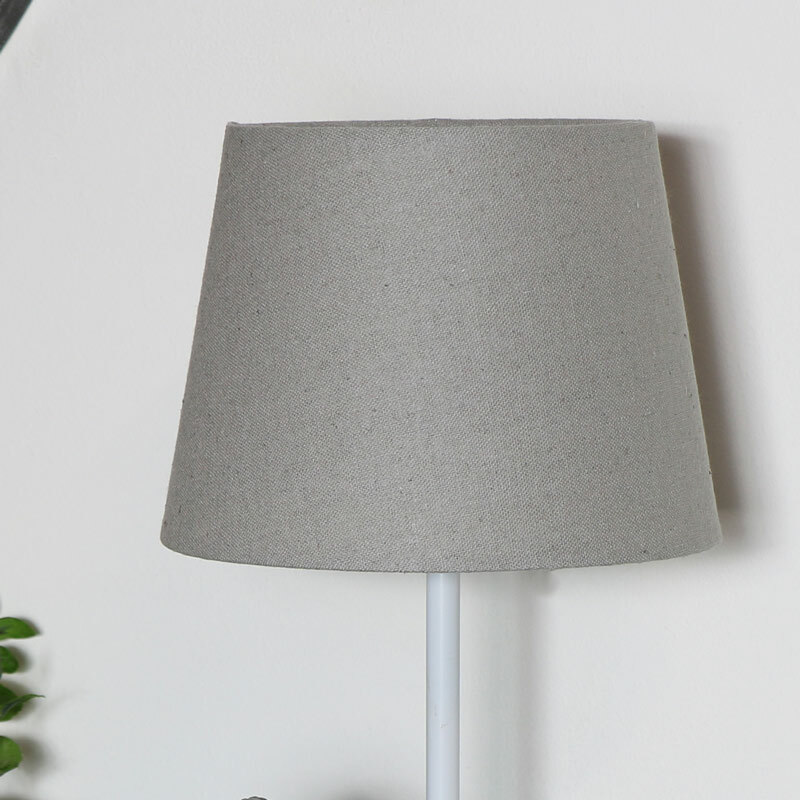 Ideal for adding extra lighting to a room and will look perfect used as a bedside lamp. Oriental feel that adds some charm to your home decor. 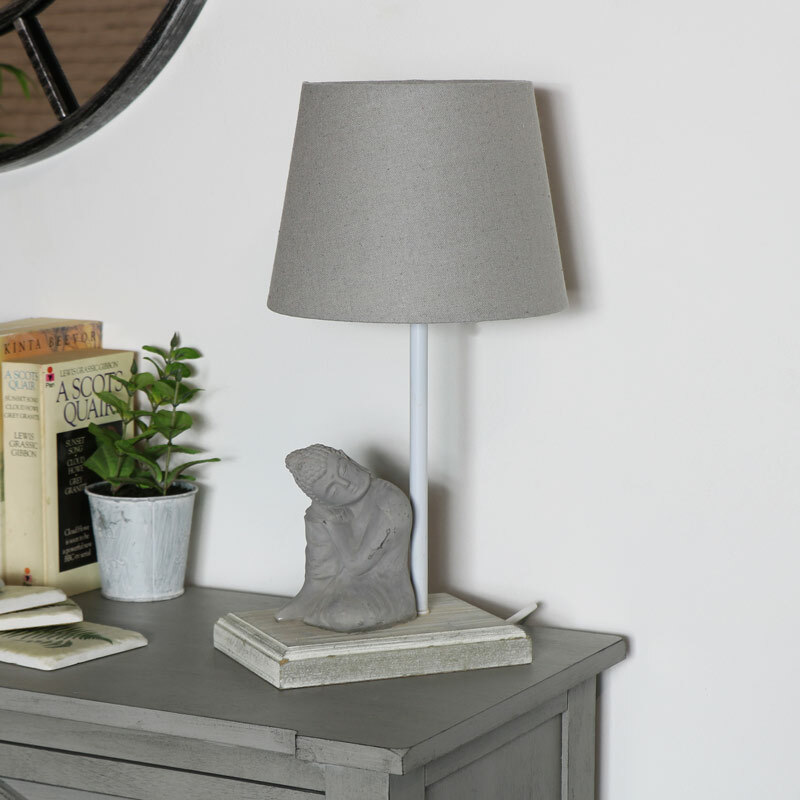 With a great selection of lamps and lighting to choose from, this table lamp will look perfect in any room. Constructed with a decorative buddha ornament, made from resin, sat upon a wooden base. Complete with a beige drum shade. The lamp features an inline switch and standard UK plug. Takes E27 max 25 watt screw in bulb.